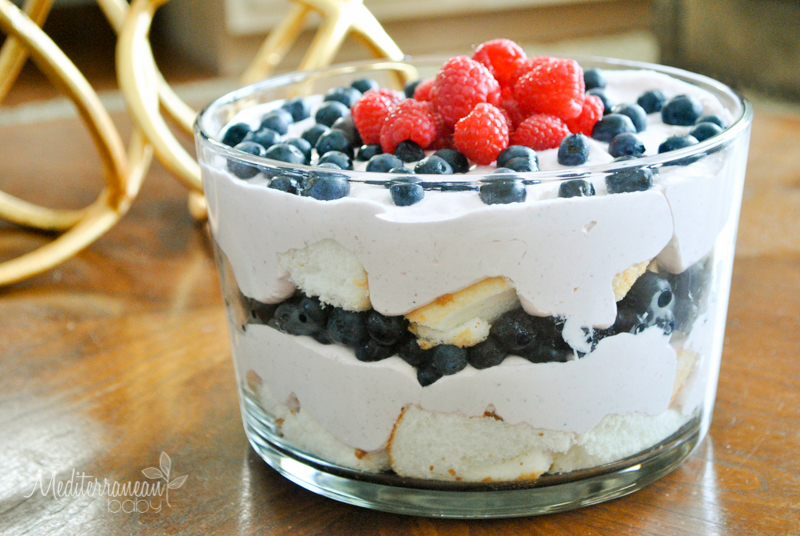 This Fresh Whipped Berry and Angel Food Dessert is the perfect light and yummy dessert for all of your summer cookouts and parties. By simply pureeing a few cups of fresh strawberries, reducing them, and folding them into whipped cream or Cool Whip, you can really take a common summer dessert and make it your own. I also love that you could flavor your whipped topping with any fresh berry flavor of your choice and use this method of flavoring your desserts over and over again without using any artificial coloring! In fact, I actually created this recipe for one of my twins who is allergic to red artificial coloring. She was able to enjoy strawberry “frosting” for the first time and she loved it! Puree the strawberries and pour the puree into a small saucepan. Over medium-low heat, bring the strawberries to a boil, stirring frequently. Reduce to simmer and continue to stir for ten minutes. Cool completely. Fold cool, reduced strawberries into Cool Whip (or whipped cream) until completely incorporated and pink in color. 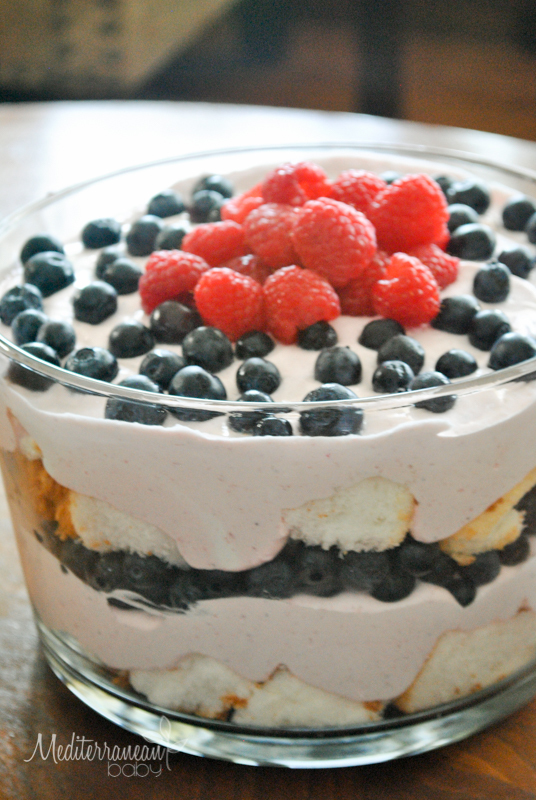 Using a trifle dish, layer angel food cake pieces, them whipped strawberry cream, blueberries, and red raspberries. Repeat for two more layers. Cool in the refrigerator for at least 20 minutes. Enjoy!